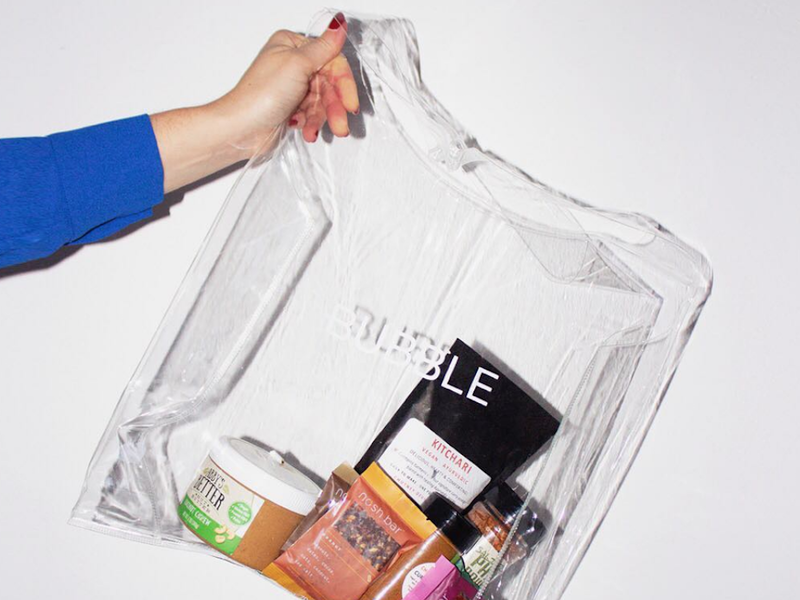 Bubble, the destination for curated, innovative health & wellness products, officially launched its online marketplace featuring the best-tasting, highest-integrity health foods to fit people’s needs and lifestyles, including Keto, Paleo, Vegan, and Gut health, among others. With new seed funding from supermodel and entrepreneur, Karlie Kloss, NBA star, Miles Plumlee, and OpenNest’s Tyler Wakstein, Bubble plans to introduce more independent food brands to its marketplace and launch its own branded products, including their first release of Hella, a new, better-for-you cocoa hazelnut spread. As a Michelin-trained chef and through her previous role as Head of Product and Operations at Daily Harvest, Young developed a keen awareness for predicting what’s next in nutrition - from moringa to extremophile probiotics -- and identified a missed opportunity in the health food world: a health food utopia where the most delicious and healthiest food is abundant and seamless to navigate. Within its marketplace, Bubble currently offers 500+ health products made by both Bubble and independent producers, using a variety of next-in-nutrition ingredients. Bubble is set up like a true marketplace where products ship straight from vetted brands straight to customers. Unlike traditional retail models that rely on wholesale, Bubble uses its collective power to leverage content and marketing as a way to bring customers together. Individuals who sign up for newsletter access will be the first in the know on the latest in health and wellness, as well as be among the first to be able to purchase exclusive product “drops” over the course of the year - taking a cue from product launch models of today’s popular streetwear brands. Bubble’s marketplace also allows shoppers to search for products that meet their specific diet preferences (i.e. keto, vegan) and health goals (i.e. digestion, cold defense, memory improvement). As the new, trusted platform for those looking for innovative products, Bubble makes it easier for shoppers who often find themselves shopping on websites with an uncurated, extensive array of options or having to buy directly from a variety of independent brands. To do this, the brand ensures that all products are “Bubble Approved” by meeting its set of nutrition and taste criteria developed alongside nutrition professionals and chefs. For Bubble’s first branded product, the company seeks to disrupt a category full of less-than-healthy offerings with the introduction of Hella, a new, better-for-you cocoa hazelnut spread. Made with just three organic ingredients - roasted hazelnuts, coconut sugar, cacao nibs - with 250% less sugar than its leading competitor, Hella provides people with a more wholesome product than the overly-sweet childhood treat they’re familiar with. “Hella is the epitome of an old favorite made for the modern, health-conscious person who wants to actually taste the hazelnuts and cocoa, not sugar,” said Young. “It’s addicting, and I keep finding new ways to enjoy it whether it’s over a bowl of oatmeal, in a smoothie or just by the spoonful.” Hella is exclusively available on getintothebubble.com at $9 for a 6-ounce jar. To learn more visit getintothebubble.com.